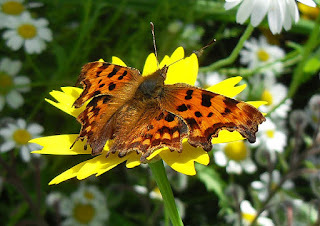 At last we are getting butterflies in the garden, we had Large Whites and Green veined Whites at the start of the summer then the occasional Meadow Brown and Gatekeeper but only the occasional Tortoiseshell. 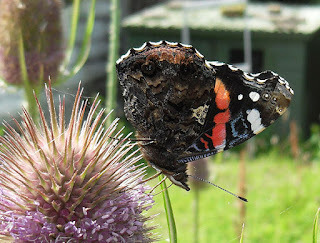 Now that the buddleia and teasels are flowering we are happy to see Red Admirals, Peacocks and Commas coming into the garden. I hope the Commas might be from caterpillars I found on the hops I grew, as I knew they were a plant their caterpillars like to feed on. We grow lots of plants specifically for their nectar, borage and echiums are a real hit with the bees and hoverflies and we don't use any pesticides, we also leave plants to die back naturally and only cut back in the spring so there are lots of places for overwintering insects. We stock firewood in the outbuildings and often find butterflies and moths hibernating in there (and sometimes in the house). 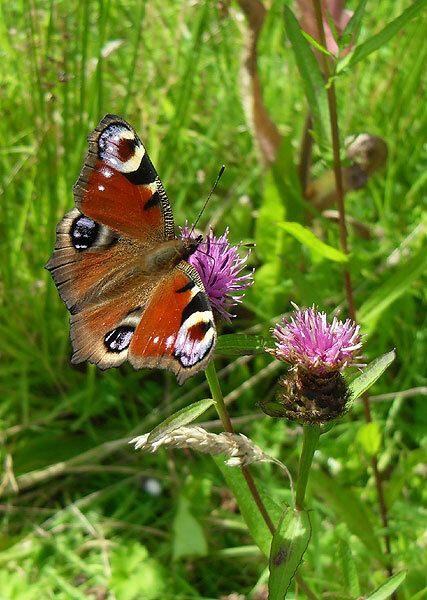 It makes me sad to remember the numbers of butterflies I used to see as a child and ladybirds, I've hardly seen any of those this year. 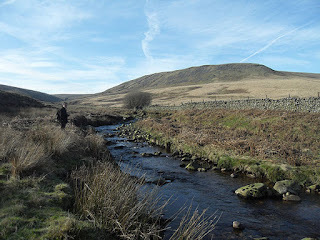 Went for a coffee after work at the cafe at Stocks Fly Fishery. 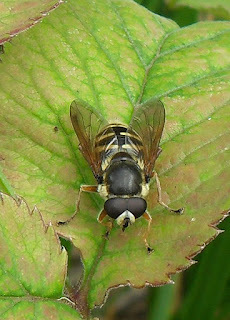 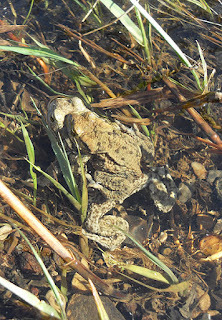 It was lovely, warm and sunny but very breezy which made photographing insects quite challenging. 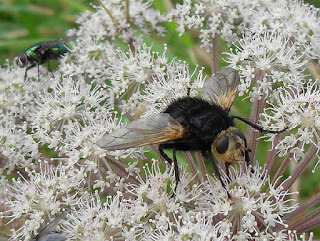 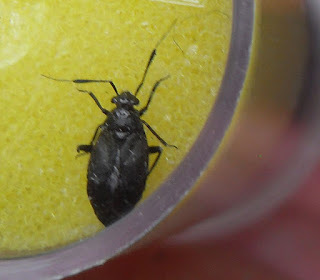 My little camera was up for it though and I got some lovely photos and saw my favoutite fly Tachina grossa. 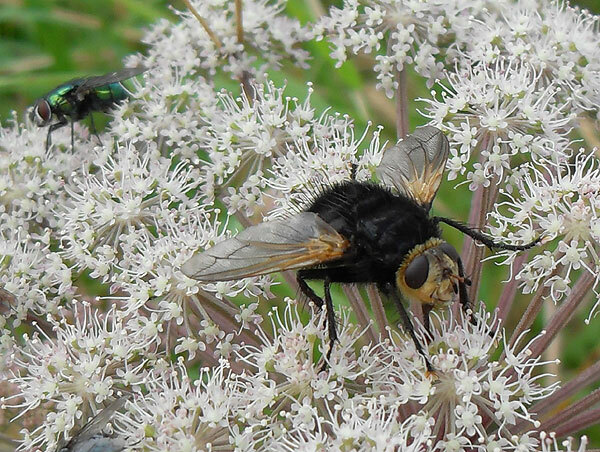 Tachina grossa, the greenbottle fly gives some idea of size. 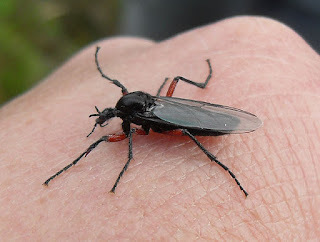 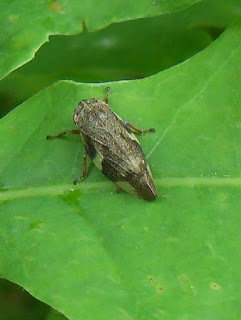 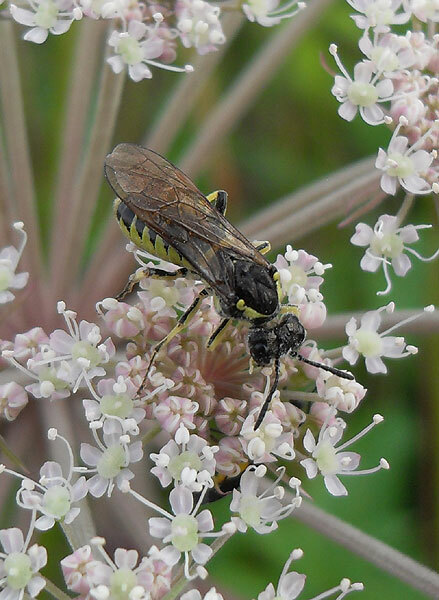 I think this is a Sawfly, Tenthredo sp. 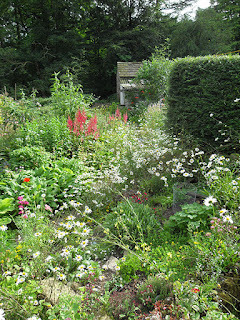 July is a lovely month in the garden, a colourful, buzzing celebration of life ( I'm like Ned Stark though, even in high summer, I keep thinking "Winter is coming!") 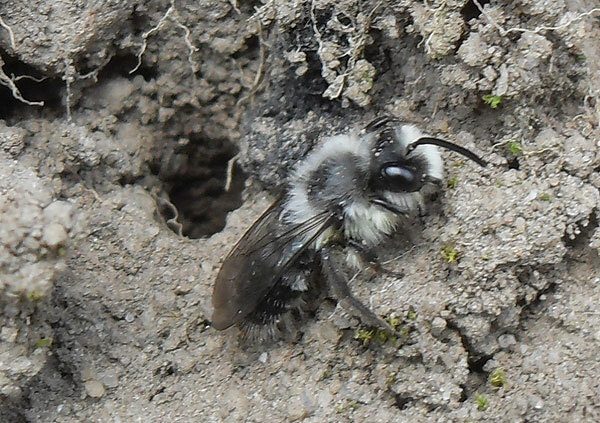 I spent ages trying to photograph this cute little bee, it has really fluffy front legs which whenever it settles it hides under its chin, like its embarrassed by its fashion choices. 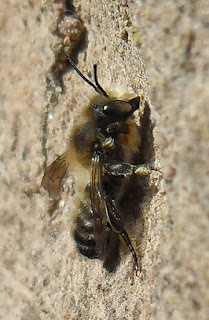 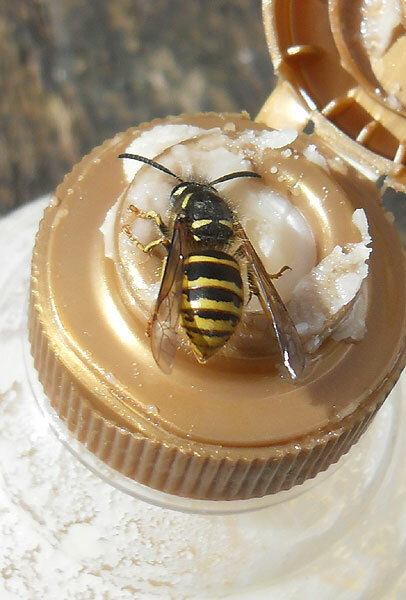 I think its a male Willughby's Leafcutter Bee. 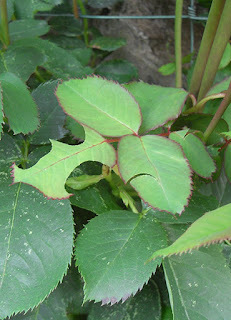 I also noticed neat little semi-circles had been nibbled out of the leaves of the climbing rose by the kitchen window, probably by a female Leafcutter Bee, wish I could spot a nest. 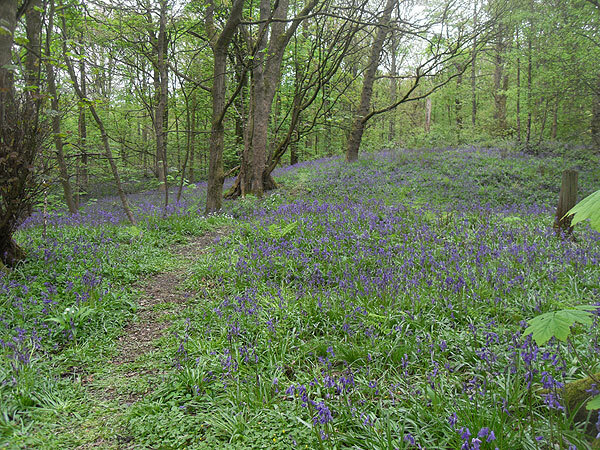 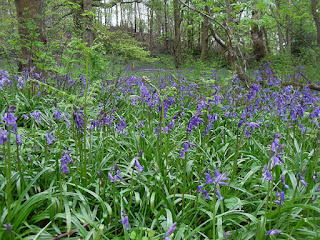 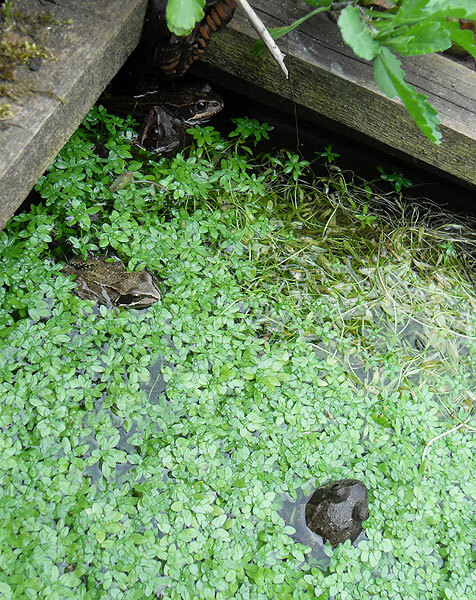 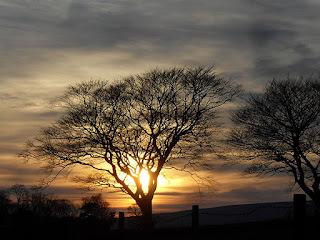 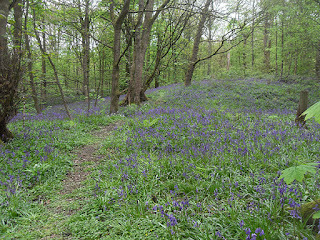 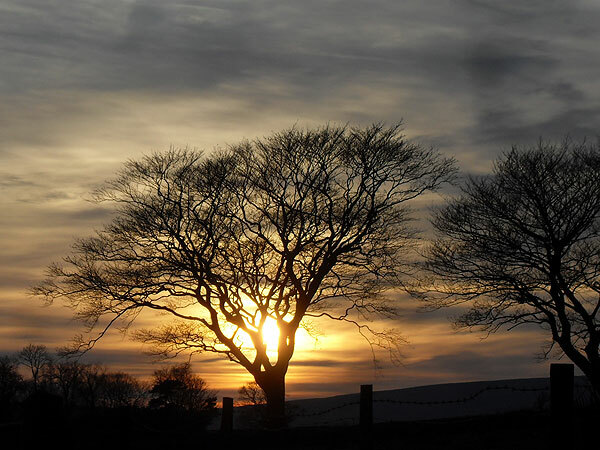 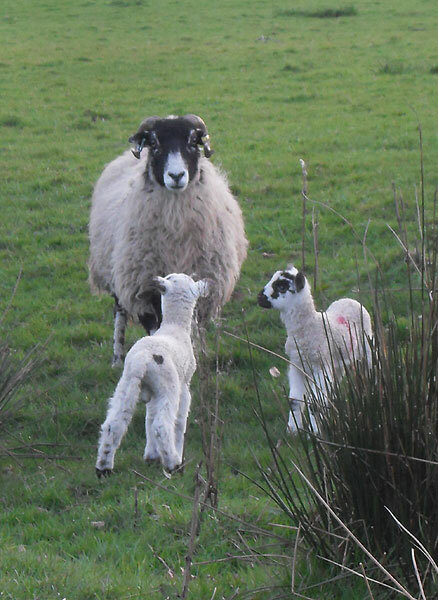 Had an enjoyable evening "walk"(273m) arranged by Clitheroe Naturalists around Greendale Wood, Grindleton. 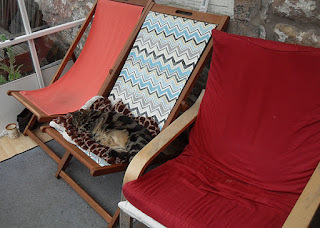 I think the poor weather forecast put people off as only three of us turned up. 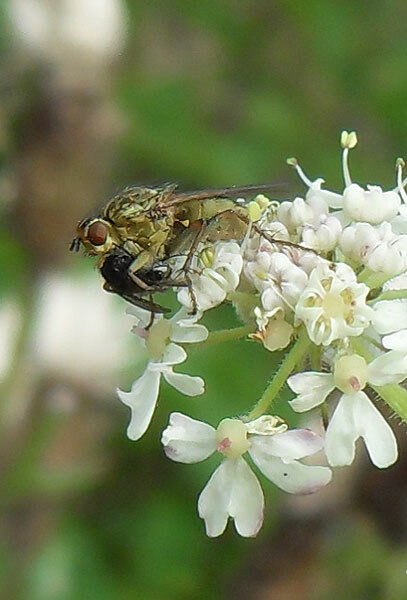 The weather threatened all the time with the odd spot of rain and roll of thunder but we managed a good couple of hours searching for plants, insects and birds. 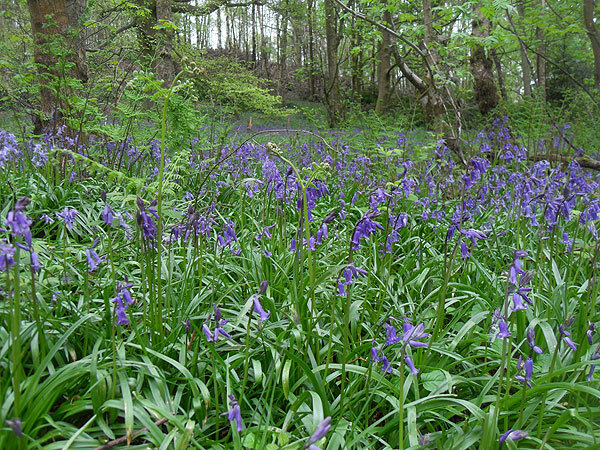 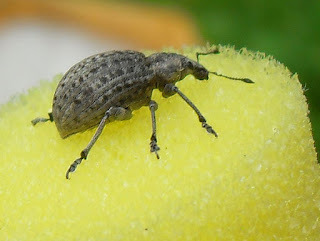 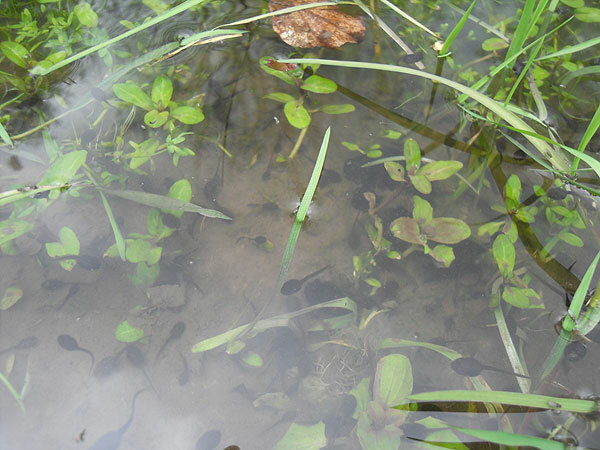 We now have a nice initial list of species that hopefully will allow naturalists in 20, 50 or even 100 years time to see how the woodland has changed and developed over time. 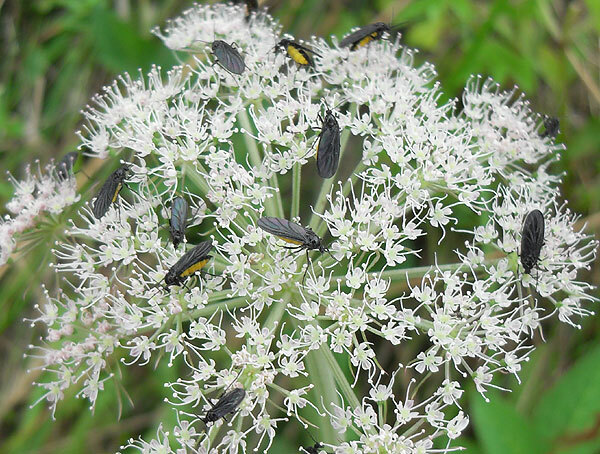 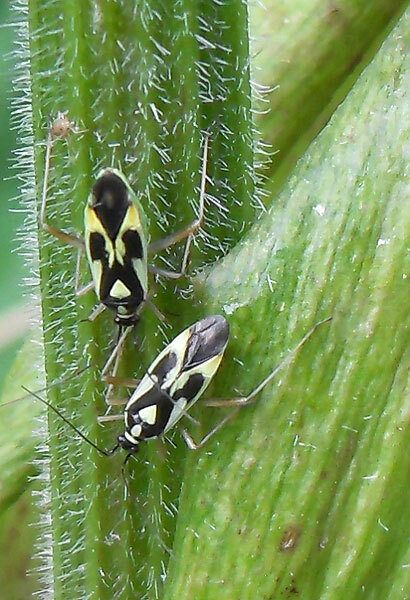 More importantly for me I got to see some really lovely insects. 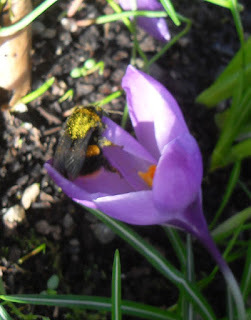 All identifications are merely my best stab at it, please feel free to say if they are wrong. 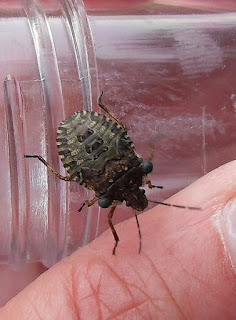 Forest Shieldbug Pentatoma rufipes (final instar) found feeding on Hazel. 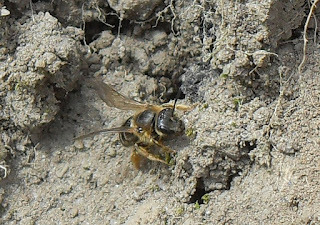 While out walking noticed lots of bees buzzing around a sandy bank. 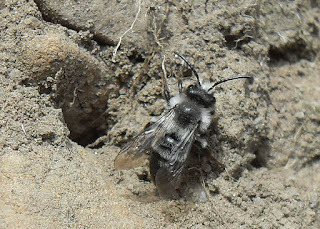 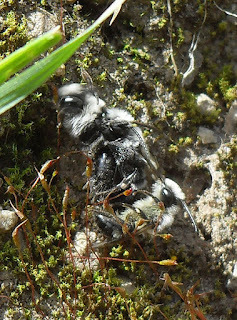 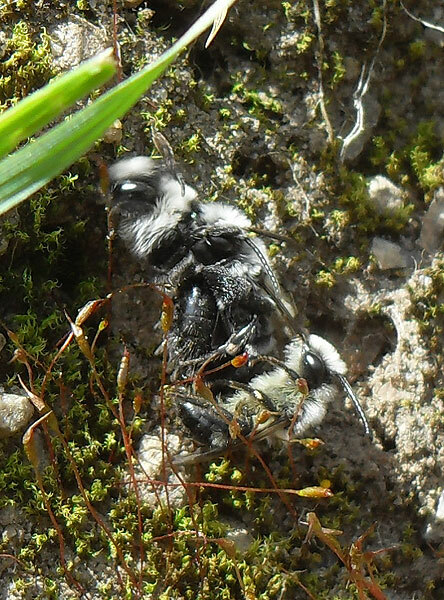 I think they are Ashy Mining bees.There was also another different type of bee but it flew into its hole and wouldn't come out again, just kept coming to the entrance to peer at me. 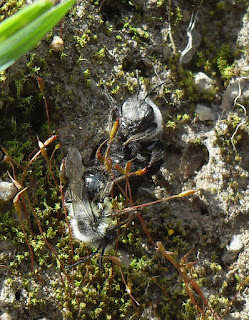 There were fights to mate with females going on. Love to know what this is. 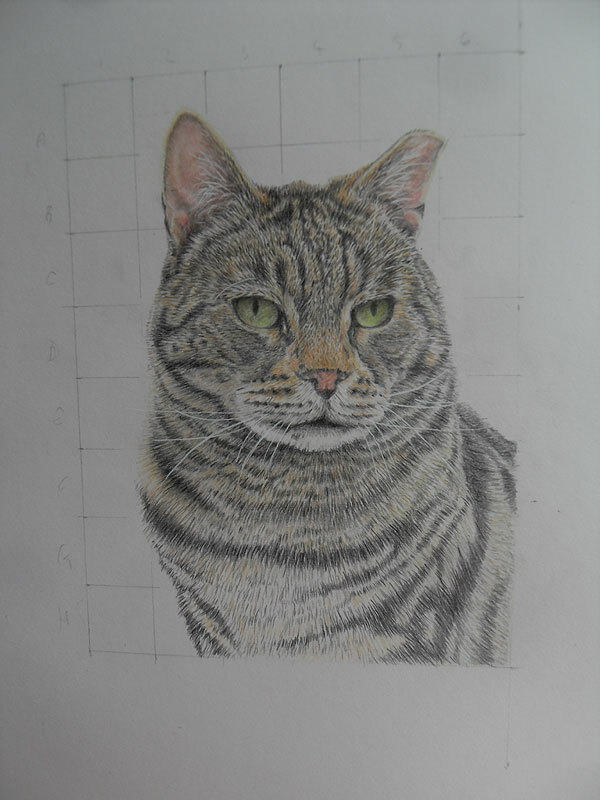 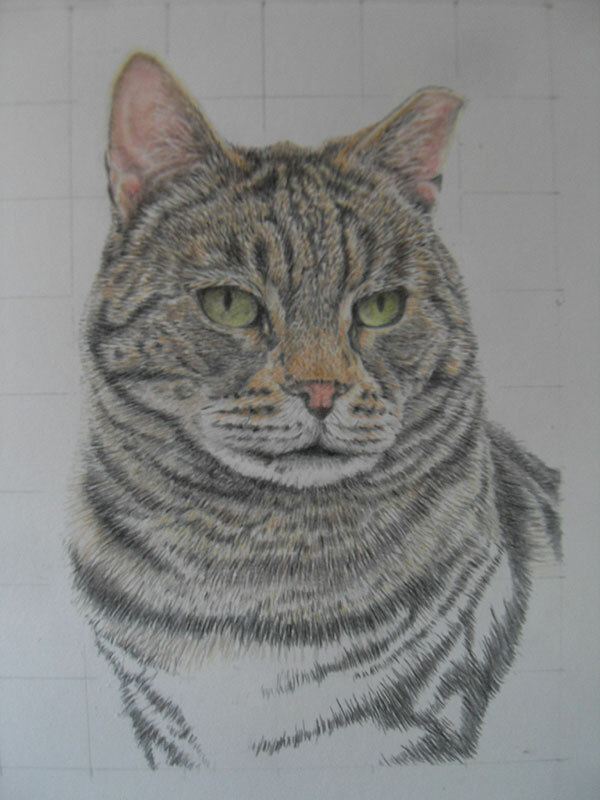 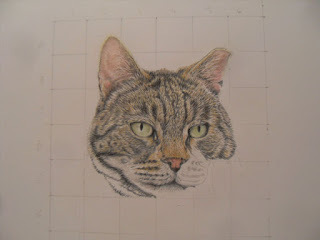 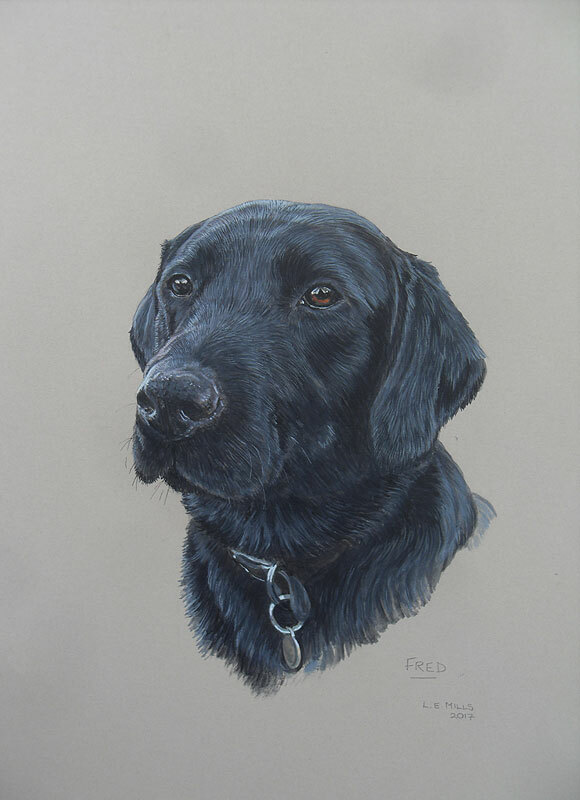 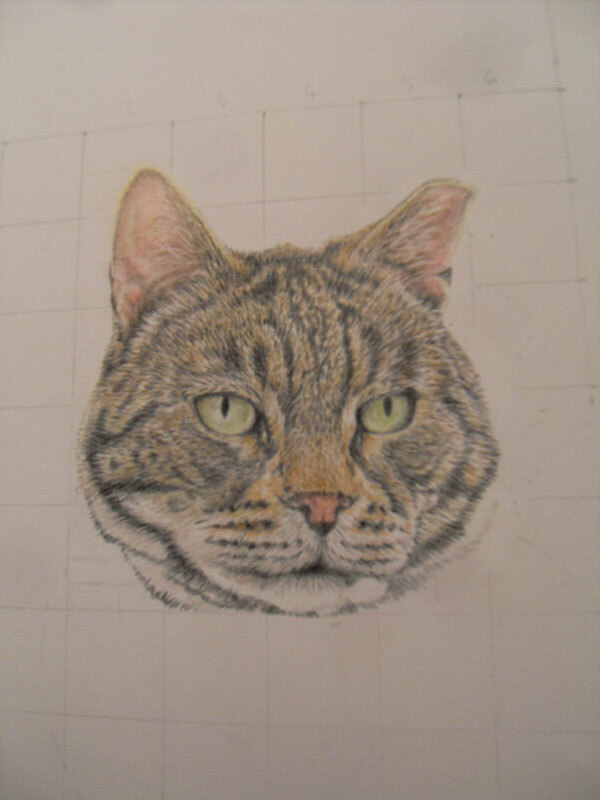 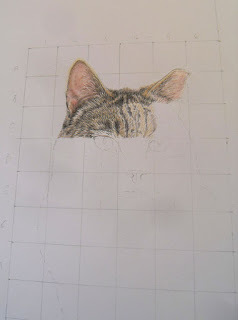 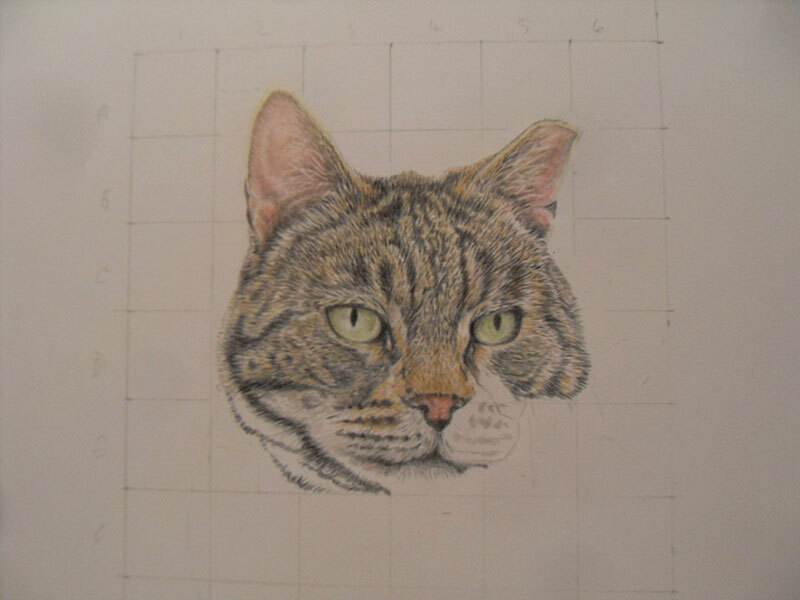 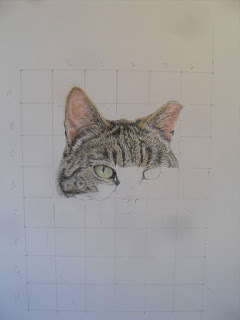 Decided to have a go at drawing Cat's portrait using Derwent Studio coloured pencils, I just haven't used them for a long time and thought it would make a change from acrylic painting. I graphed Cat out as I was worried I'd lose my place with his markings. 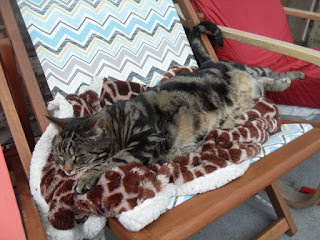 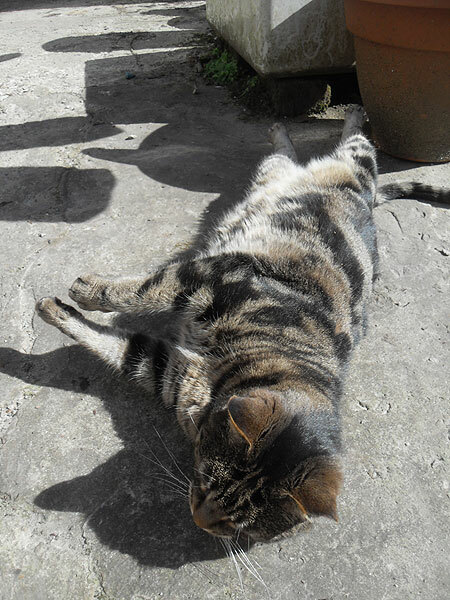 I've managed to make him look a lot sterner than he really is, he's a big softie - although the mice in the barn probably think differently.